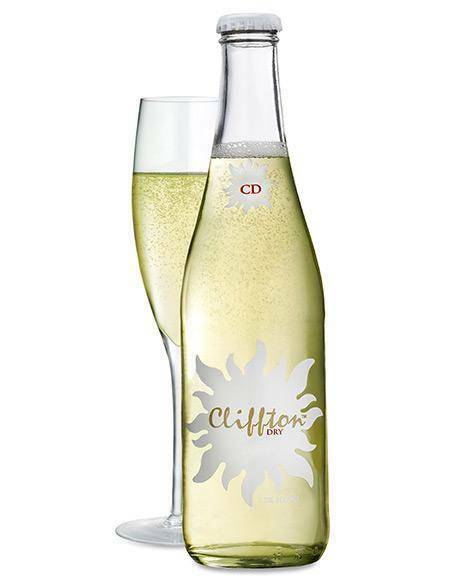 CLIFFTON DRY WINE-STYLE BUBBLY IS MADE WITH FRESH APPLES INSTEAD OF GRAPES. THE PROCESS IS AKIN TO SPARKLING WINE RATHER THAN TRADITIONAL CIDER. Cliffton Dry is wonderfully delicate and pure – our golden, crisp and refreshing sparkling cider is organically made in The Finger Lakes Region of New York. Cliffton Dry offers a low-alcohol (5.5%), low sugar, gluten-free bubbly, that serves as the perfect stand-alone refreshment or accompaniment to the finest farm-to-table meal. Cliffton Dry embraces drinkers with a light, refreshing feeling without undesirable heaviness or hangovers.